Blueberry chia yogurt bowls are an energy boosting breakfast. This quick and easy meal is good and good for you. You can replace the blueberries with any seasonal fruit; bananas and strawberries would also be delicious. 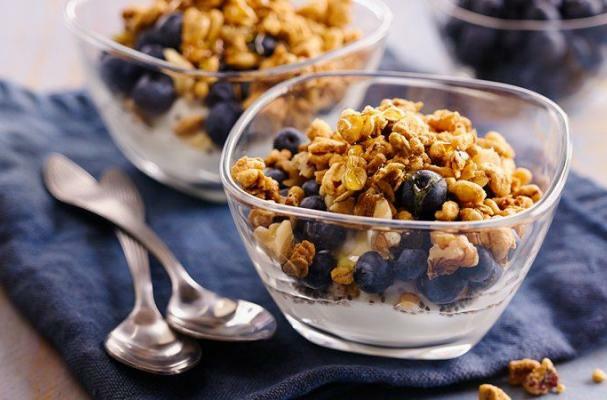 Divide yogurt among 4 bowls. Top with chia seed, blueberries, walnuts and cereal. Drizzle with honey. Serve immediately.